Legend has it that Countess Elizabeth Bathory Nadasdy discovered her "secret of eternal youth" when some spots of blood from a beaten servant seemed to 'tighten' her skin. She became obsessed with this notion which gave her a perfect excuse to vent her sadistic streak on local teenage peasant women. Countess Elizabeth Bathory Nadasdy was known to torture her victims before bathing in their blood. Her instruments of torture included knives, pincers, needles, razors, red-hot irons and pokers. She is also reputed to have ordered the construction of an iron cage called "Iron Virgin". The "Iron Virgin" was shaped like a woman and fitted with blades, similar to the "Iron Maiden". 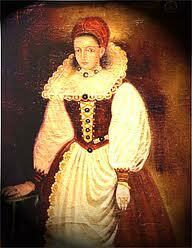 Countess Elizabeth Bathory Nadasdy was believed to have been responsible for the deaths of over 600 peasant women. She was aided in her crimes by servants including Dorka Szentes, Iloona Joo, Johannes Ujuvary, Anna Darvulia and Damien Thorko. So many complaints were made about the Countess that King Mathias of Hungary sent cousin, Lord Palatine George Thurzo to question her. Her accomplices were sentenced to death but Elizabeth's involvement was 'hushed-up' due her her royal connections. She was quietly left to die in her own castle. The windows and doors of her room were sealed by workmen were sealed leaving just a small hath to pass food to her. 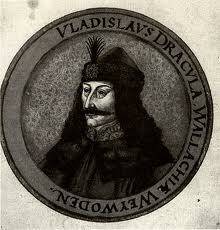 Countess Elizabeth Bathory Nadasdy ( Lady Dracula ) died three and a half years later. I did not write any of this information.